A family member lost. The Elders under siege. An unstoppable force about to wreak havoc on the world! 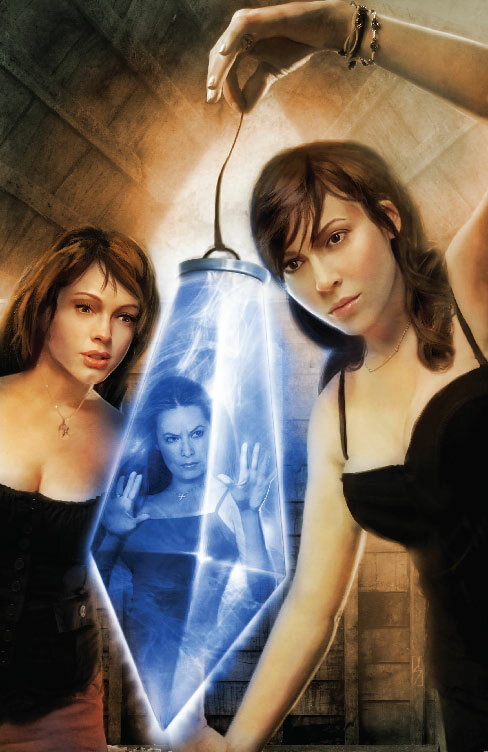 Leo must reveal an ancient secret to The Charmed Ones about the very source of their craft and the true origins of the magic they possess if they have any chance of defeating their latest threat. Ships with two separate covers! Grimm Fairy Tales present the classic fairy tale Diamonds and Toads. Fresh off her battle with the Goblin Queen, Sela now has to deal with Morrigan’s pupil: Gruel. Long before he became trained in the art of magic Gruel suffered an evil curse. A curse that would scar him for life and set him on a path of revenge against everything pure or beautiful in the world. His life’s goal is destruction and Sela is next on the list. 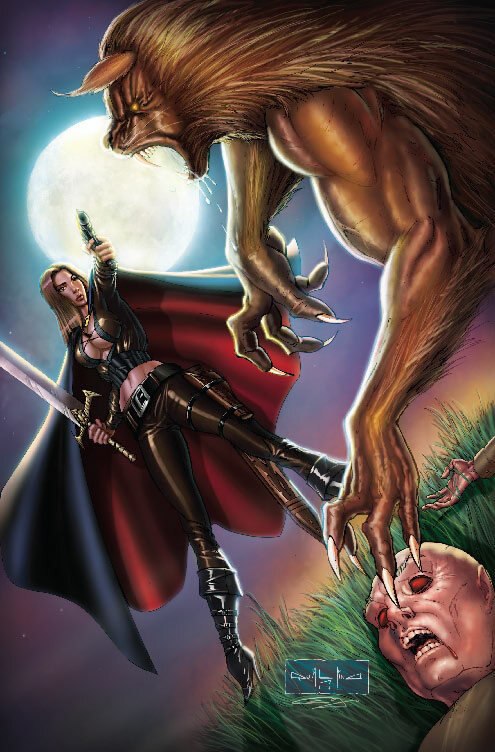 The latest issues of Grimm Fairy Tales are collected in the Volume 9 trade paperback. Fairy Tales and Fables have been passed down from generation to generation throughout the world for hundreds of years. But this hit independent series puts an all new spin on these familiar stories. Included in this volume are the classic tales the Glass Coffi n, The Golden Stag and Grateful Beasts among others. A must have for fans of the series. 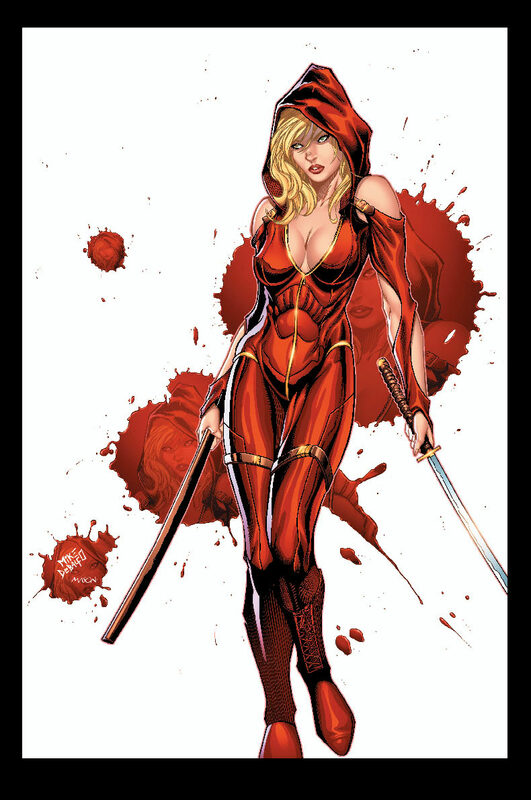 From the creators of Grimm Fairy Tales and the Wonderland trilogy, Zenescope’s newest ongoing series continues here! A storm arrives, cutting off the facility from the rest of the world as patients continue to disappear. Meanwhile the unsuspecting staff of the Seidwell facility has yet to realize that they are being picked off one by one by something not of this world. 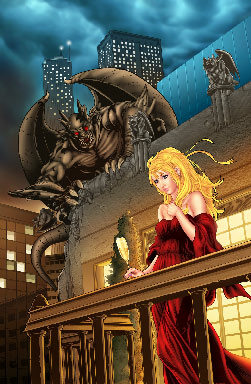 Don’t miss issue #2 of this exciting new Grimm spin-off series. 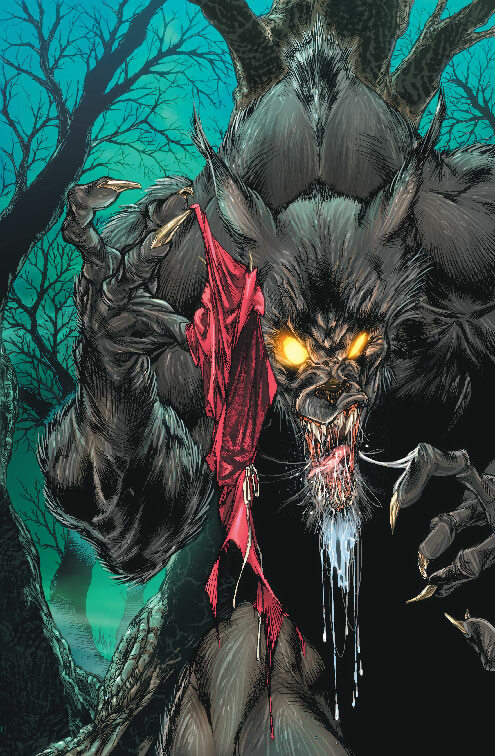 From the blood sucking Chupacabra to Werewolves that prowl by the light of the full moon…how can mankind defend itself from these monsters? By reading the Monster Hunters’ Survival Guide. Issue #4 of this comprehensive survival guide deals with the Unnatural Beasts that haunt our nightmares. From Gargoyles to Golems you’ll fi nd everything you need to capture and kill these horrible beasts in this issue. 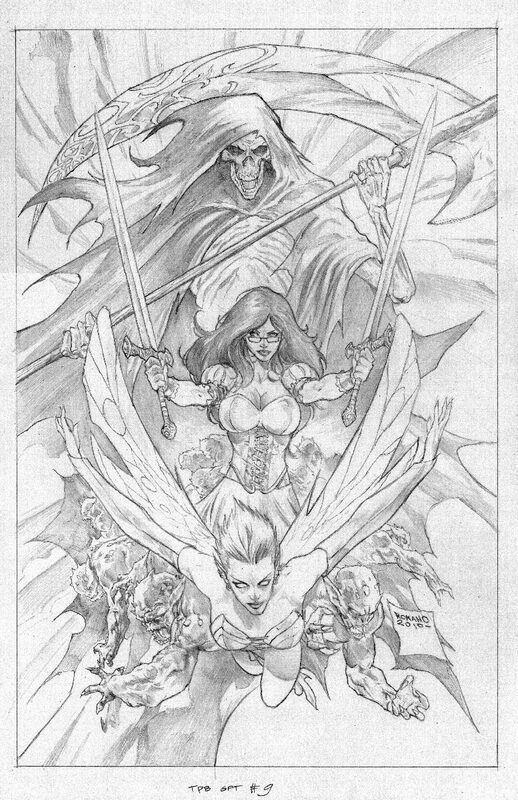 32 pgs, BW, $2.99 • Ships with two separate covers! The fi nal chapter of the story is here! Pan unleashes his full fury on Wendy, Cross and their allies and they have little chance of standing before the ruler of Neverland’s power. As hope fades an unlikely ally comes to their aid…Tink has finally had enough of Pan’s tyranny. But her help may have come too late. 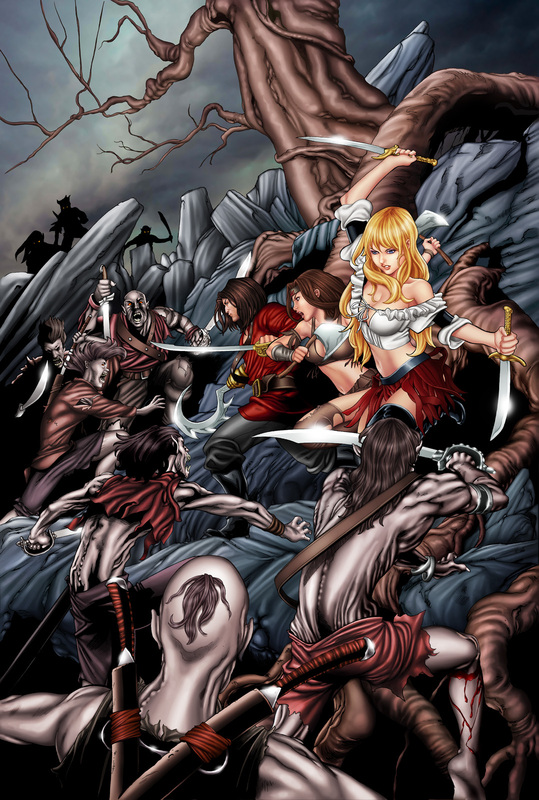 Don’t miss the exciting conclusion to this popular spin off of Grimm Fairy Tales.